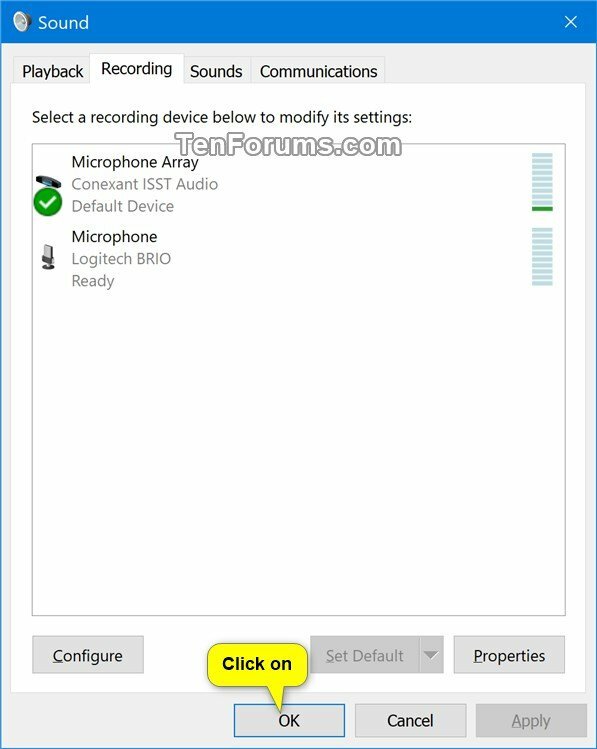 When you connect more than one microphone or other recording devices to your PC, you can select which device you want to use by default. 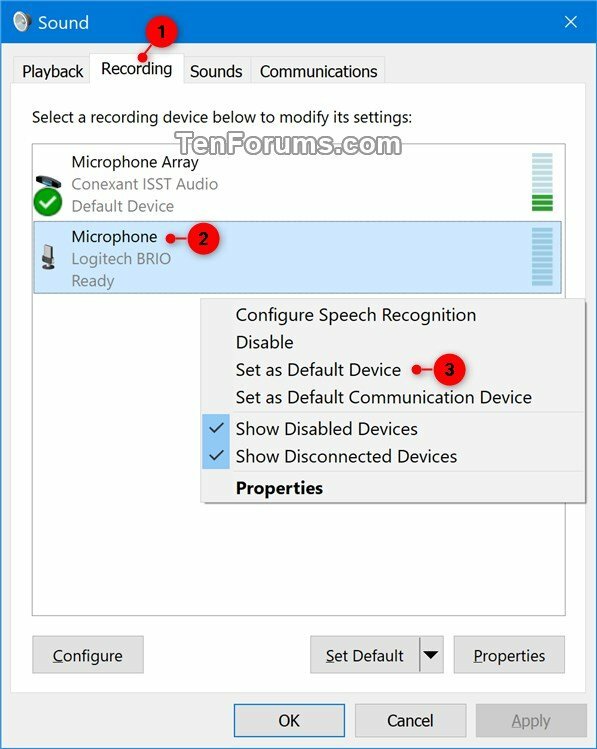 The default sound input device is the device that Windows uses to record or hear sound. 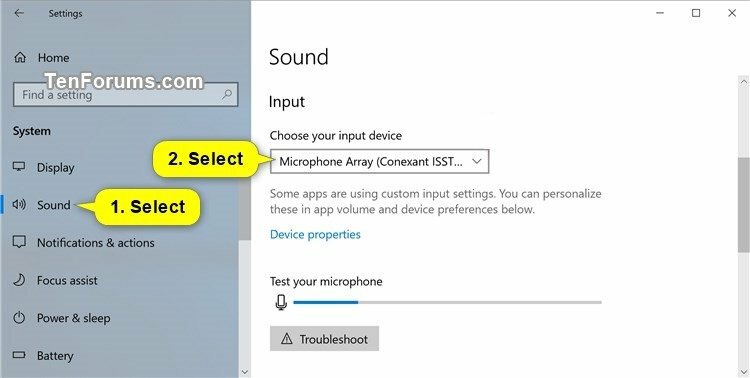 This tutorial will show you different ways to change the default sound input device for your account in Windows 10. This option is only available starting with Windows 10 build 17035. You will not be able to choose if you do not have more than one input device connected. 1. Open the Control Panel (icons view), and click/tap on the Sound icon. 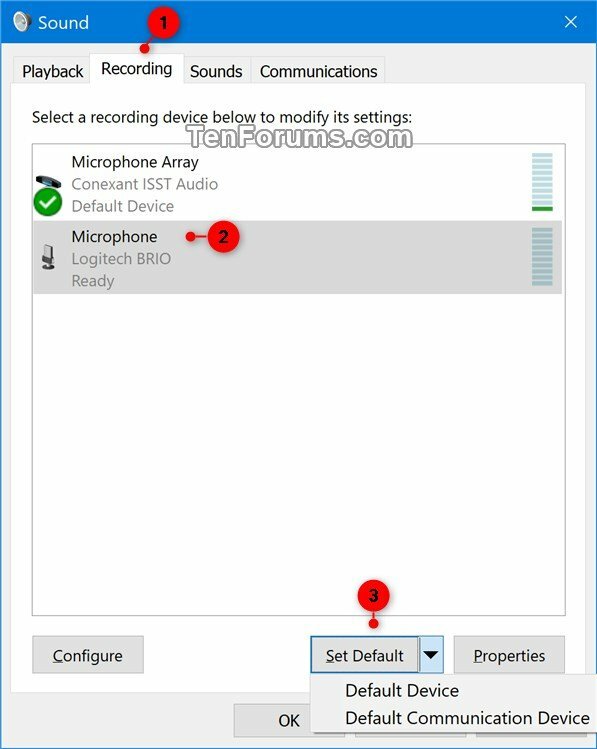 If you like, you can open Run (Win+R), copy and paste the command below into Run, and click/tap on OK to directly open “Recording” devices in the Sound panel. Right click or press and hold on the recording device, and click/tap on Set a Default Device. Click/tap on Set Default to set for both “Default Device” and “Default Communication Device”. Click/tap on the drop menu arrow to the right of Set Default, and click/tap on Default Device.